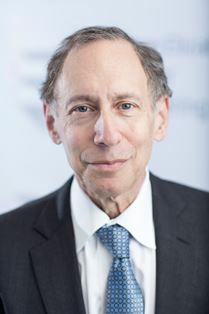 Dr Robert Langer, a David H. Koch Institute Professor in the Department of Chemical Engineering at MIT, has been awarded the Queen Elizabeth Prize for Engineering. The £1 million QEPrize is a global prize awarded to engineers responsible for a ground-breaking innovation that has been of global benefit to humanity. The Queen will present the prize at Buckingham Palace later this year. Prof. Langer has published over 1300 articles and is the most cited engineer in history (Science, 2014). He has over 1000 issued and pending patents and has won over 200 major prizes. His laboratory at MIT, the Langer Lab, is the world's largest academic biomedical engineering laboratory. He was named as one of the 25 most important individuals in biotechnology by Forbes Magazine and CNN (1999) and Bio World (1990), and as one of the 100 most influential people in America by Time magazine (2001). A chemical engineer by training, Prof Langer was the first person to engineer polymers to control the delivery of large molecular weight drugs for the treatment of diseases such as cancer and mental illness. His unconventional thinking toppled the established view that controlled-release drug delivery would not work for large molecules like proteins, which are very sensitive to their surroundings. An early application of the controlled-release technology was in polymer microspheres that deliver nanopeptide drugs over several months and are now widely used to treat prostate cancer and endometriosis. Similar approaches have led to new treatments for schizophrenia, alcoholism, and drug addiction. One of Prof Langer’s most recent projects is a microchip-based wireless implant capable of storing and releasing precise doses of a drug on-demand or at scheduled intervals for up to 16 years. Microchips, the company he co-founded to commercialise the development, announced in December 2014 that it had completed clinical demonstration. Current applications being investigated are for diabetes, contraception, osteoporosis, polio, malaria and micronutrients.